At yesterday's Super Bowl Beyoncé stole the show with her halftime performance. The New South Negress carries a piece by zandria that shares the deep meaning of 'Formation', the new song by Beyoncé. Below is an excerpt from that article. Formation, is a different kind of resistance practice, one rooted in the epistemology of (and sometimes only visible/detectable to) folks on the margins of blackness. The political scientist Cathy Cohen talks about activism at these margins, the kind of deviance-as-resistance built and cultivated at the margins of respectable blackness. Formation, then, is a metaphor, a black feminist, black queer, and black queer feminist theory of community organizing and resistance. It is a recognition of one another at the blackness margins–woman, queer, genderqueer, trans, poor, disabled, undocumented, immigrant–before an overt action. For the black southern majorettes, across gender formulations, formation is the alignment, the stillness, the readying, the quiet, before the twerk, the turn-up, the (social) movement. To be successful, there must be coordination, the kind that choreographers and movement leaders do, the kind that black women organizers do in neighborhoods and organizations. 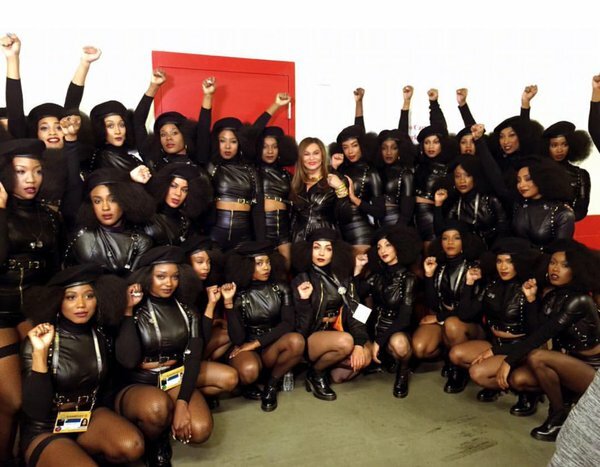 To slay the violence of white supremacist heteropatriarchy, we must start, Beyoncé argues, with the proper formation. The proper formation is, she contends, made possible by the participation and leadership of a blackness on the margins. The celebration of the margins–black bodies in motion, women’s voices centered, black queer voices centered–is what ultimately vanquishes the state, represented by a NOPD car. Beyoncé as the conjured every-southern-black-woman, slays atop the car and uses the weight of her body to finish it off, sacrificing herself in the process. Like so, so, so many black folks in the margins in the movement for (all) black (lives matter for) liberation. This formation is brought to you by conjure. Southern blackness is back, as Messy Mya said, by popular demand. But if you magic, you know we was always here, slaying, which is what we came to do. Ready? Okay.